This is an award winning DIPA brewed only 25 kilometers from where I live. 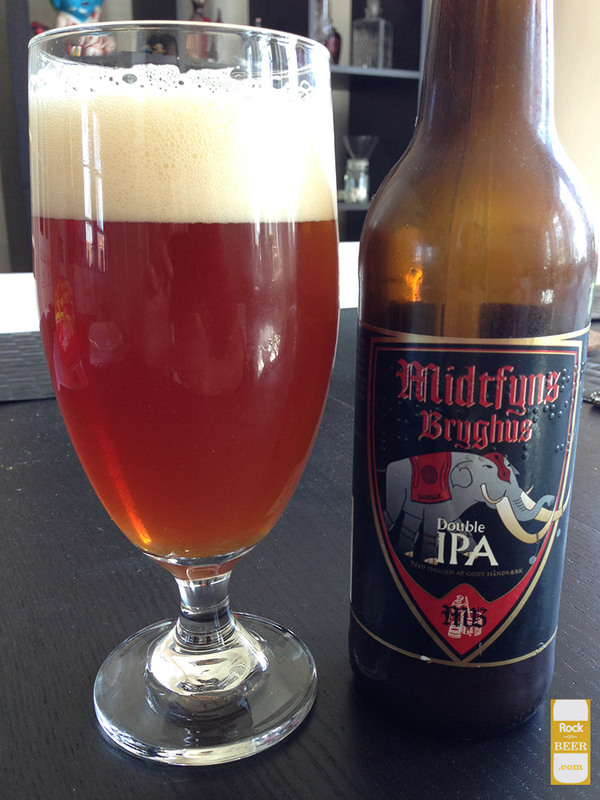 Midtfyns Double IPA won both the world's best Double IPA as well as Europe's best DIPA from World Beer Awards. That is pretty cool to have a brewery doing beers like this so close by. I am going to have to start reviewing more of Midtfyns beers. I have even heard it is owned by an American, so I am really interested! Pours a chunky hazy opaque dark orange color with a little over a two finger offwhite head that leaves thick lacing down the glass. This beer is the definition of an opaque beer that is not a dark beer, there are all sorts of bits of hop and yeast material floating around in the glass. Very malty aroma, huge caramel and sweet candy smell. The taste follows along with the smell. Very malty taste to this one. Chewy bread and massive sweet caramel and raisin taste up front. A big pleasant bitterness balances out all the sweetness. Has a full sweet mouthfeel that is very warming and boozy in the end. Not my favorite kind of DIPA but it is really well put together. This is a nice example of a malty Double or Imperial IPA, and I am glad that styles like this are alive and well in my area of Denmark.